The Alfa 33 is the direct descendant of the Alfa Sud and the floor pan and suspension are very similar. However the braking system was a lot more conventional than its fore bearer; the inboard front brakes were replaced by outboard disks at the front while the rear brakes on all models (except the P4) were drums. The engines were initially the same as the Sud. However a 1.7 was soon introduced and this eventually became the 1.7 16 valve engine in the series 3 Alfa 33. This is one of the most interesting engines that Alfa Romeo have ever mass produced, as we shall see. The Gear box remained the same 5 speed box that the Sud used, however on the P4 a prop shaft comes out of the rear of the box to send power to the live rear axle in the same manner as the Audi Quattro. The 33 was of course named after the 33 sports prototype of the 1960's and while the modern engines were amongst the most sporting available, the 33 only ever came as a 5 door car, either as a 4 door hatch or a Sportwagon which some what dimmed its sporting credentials. 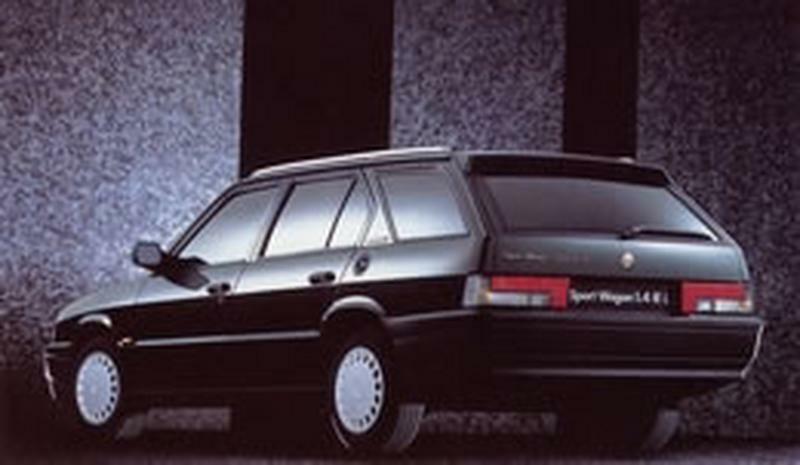 The ride was made more supple on the early cars in response to the public's criticism of the sud's ride; this and the convenience of 5 doors helped to make this one of the best selling Alfa Romeo's ever. 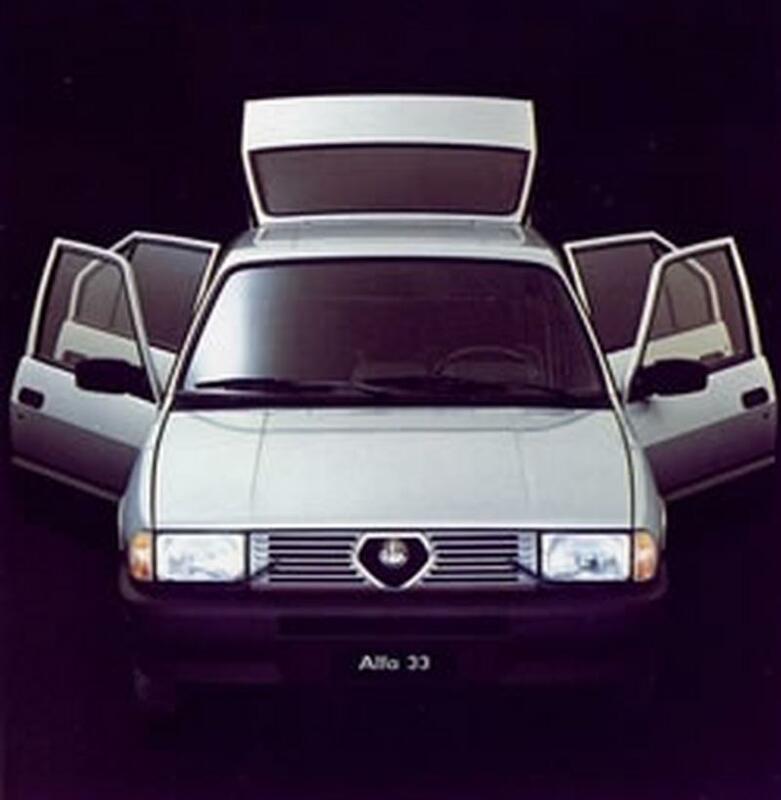 The 33 was designed by Pininfarina and first shown at the Frankfurt motor show in 1983. The series 1 and 2 cars are very similar. The series 1 had a modular dash in a style similar to the early Alfetta GTV's and the engines were either 1.3 or 1.5 litres, with the 1.5 producing 105 bhp with the aid of twin downdraft carburetors. With the coming of the series 2 the engine was enlarged to 1.7 litres and the dash was remodeled. These modifications helped to keep Alfa Romeo in touch with their fellow manufacturers, the 1.7 litre engine produced 122 bhp but with a significantly wider power band than the 1.5 this added flexibility made the car a lot easier to drive fast. 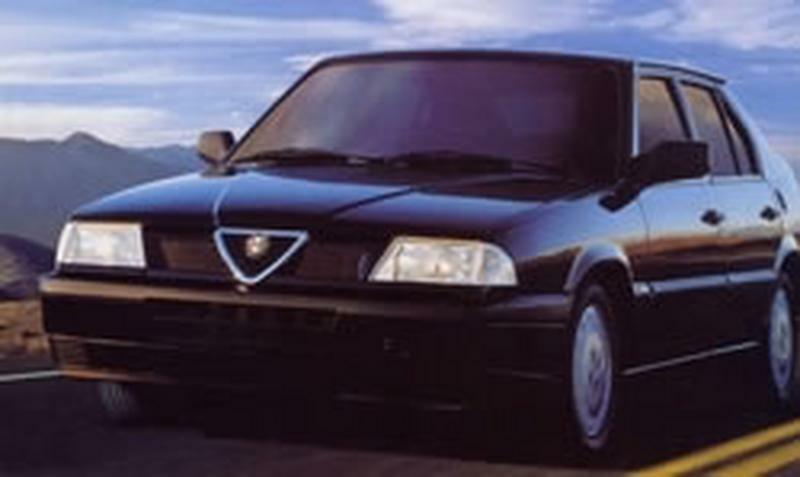 The only major modification of the body came with the series 3, the styling was still very angular but the lines were more aggressive with the bonnet being a lot sleeker and a corporate nose styling that was somewhere between the Alfa 164 and 75 was added. The engine was also upgraded again with the final evolution of the flat 4, the 16 valve engine heading the line up. This engine had some very advanced and interesting features, the inlet cam having different lift and duration for each of its valves. To aid throttle response the throttle butterflies were moved closer to the inlet valve to reduce the lag between throttle opening and the engine responding. The engine also benefited from oil cooling jets onto the base of the pistons all this added up to an engine that is a real screamer when tuned correctly. The rear suspension was also modified to have two leading links instead of one leading and one trailing link, while the front subframe lowered the mounting point for the front wishbone which gave the car more anti dive under braking. As a car the 33 has two quite different personalities; the series 1 and 2 cars are a lot less focused than the series 3 but by the time the series 3 was in production, the Sprint had been dropped from the range and so the 33 had to take on that role too. The Series 1 and 2 cars are very good long distance tourers and a very practical every day car with the versatility of a 5 door car. The early cars did not have power steering and as a result steering is quite heavy by modern standards, this and the compliant suspension made the car feel heavy and soft. 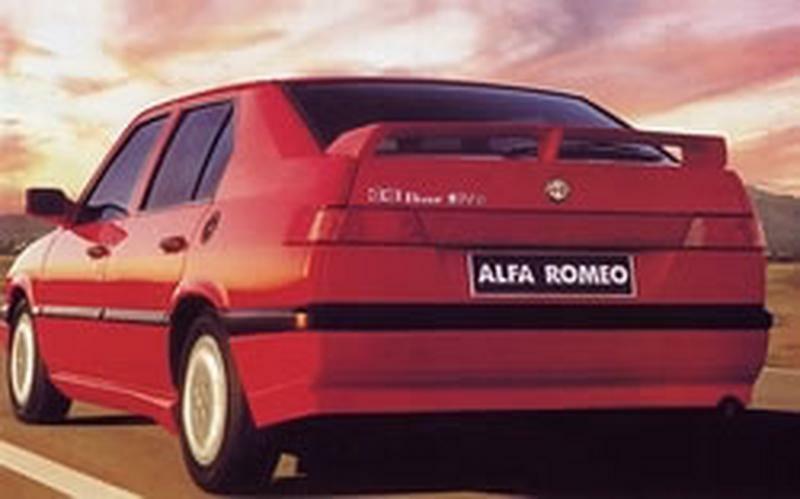 However, as with all Alfa Romeos when pushed the car came into its own; the grip is quite tenacious, the front suspension keeping the front wheels perpendicular to the road and the dead rear axle controlling the rear wheels. The series 3 is quite different. The power steering reduces the effort needed to change direction making the car feel a lot more nimble, the changed suspension geometry and revised spring and damper settings reduce the amount of body roll and give a lot more feed back from the road surface. This and the character of its 16 valve engine give the car a very sporty personality. The 33 is an Alfa Romeo and as such it has character, while the body is that of a family car the chassis can and does deliver, this has endeared it to over 1,000,000 buyers and for that alone it deserves respect.